The design for Ikenberry Commons Bousfield Hall does not prioritize function (both social and environmental) over aesthetics and instead strikes a balance between the two. The site design promotes a sense of community, tradition, and fun, meets environmental goals of biodiversity and stormwater infiltration. 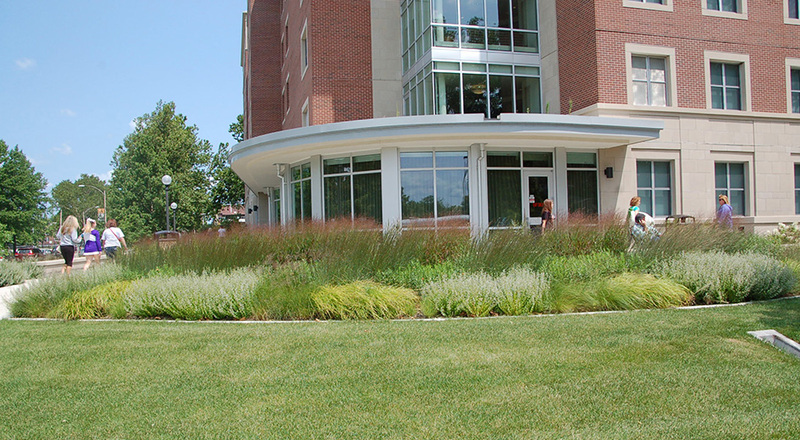 The Commons extends the inside learning and social environment to the outside. 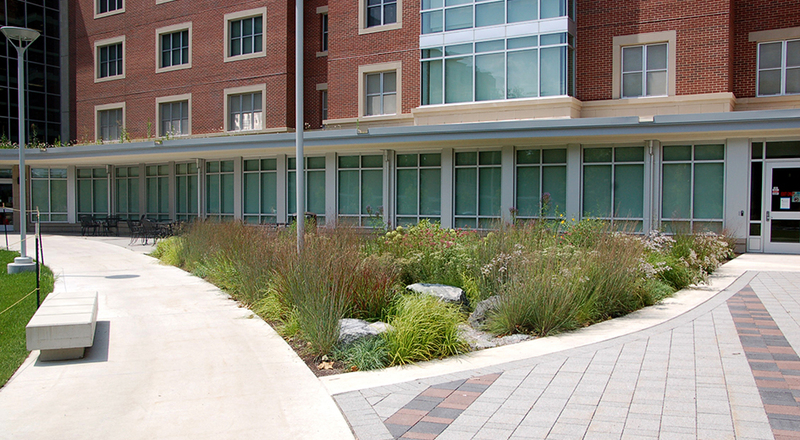 The site’s beauty and functionality encourage students and faculty alike to venture and stay outdoors. 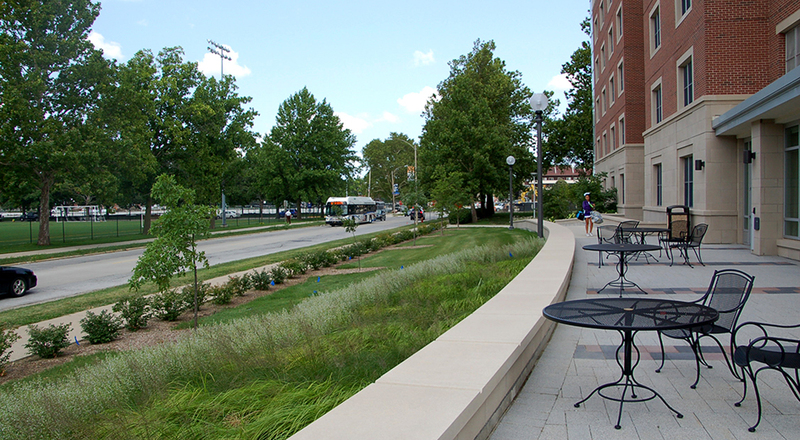 The Commons is highly programmed with separate landscape identities located in a larger, cohesively designed site. There are ample spaces for recreation with opportunities for students to lie on sun-drenched patios, sit on verdant lawns, perform on informal stages, confer within large or small groups, and engage in active outdoor activities. 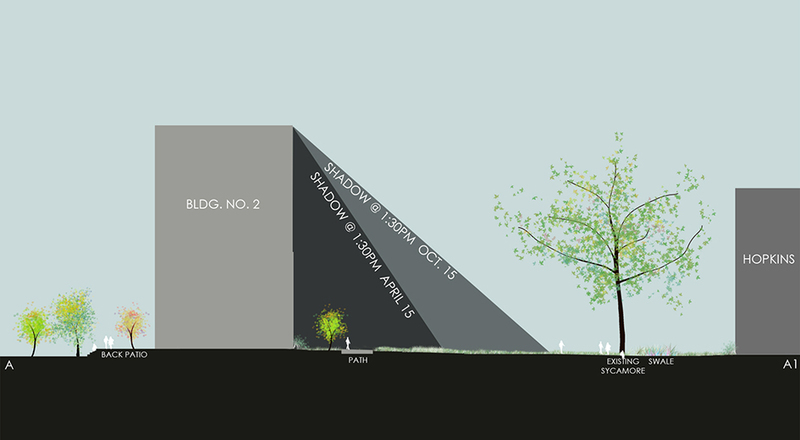 The site also emphasizes ecological performance and sustainability. 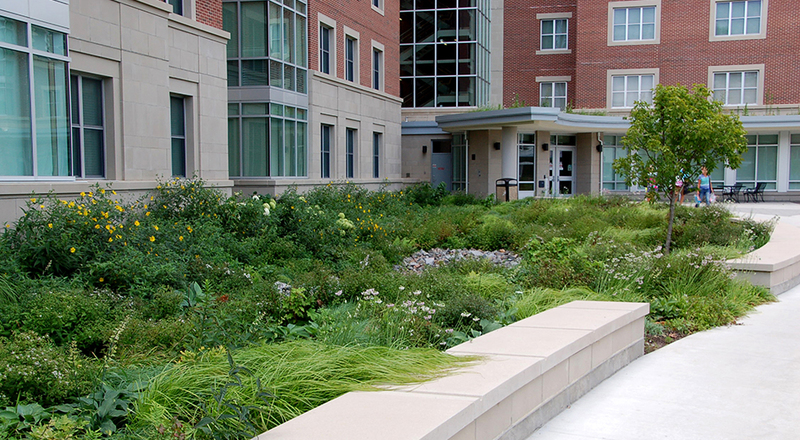 A series of stormwater gardens complete with elevated catch basins collect rain from the roofs and sidewalks for filtration and treatment and provide a new type of animal habitat. 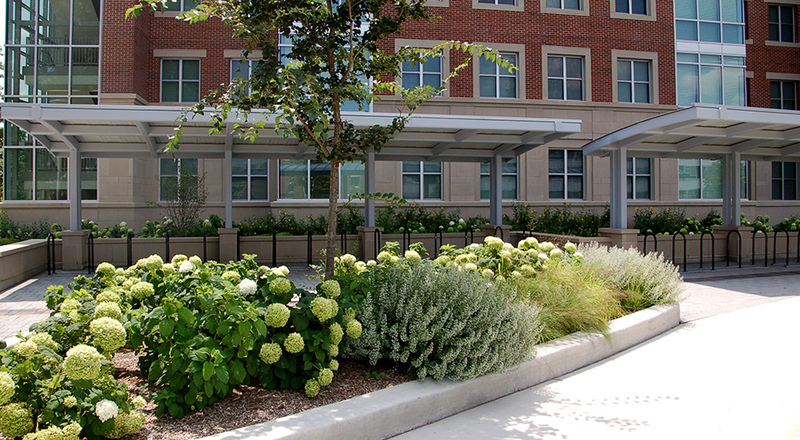 Native and adaptive plants were selected not only for their beauty and hardiness but also for their reduced maintenance requirements. 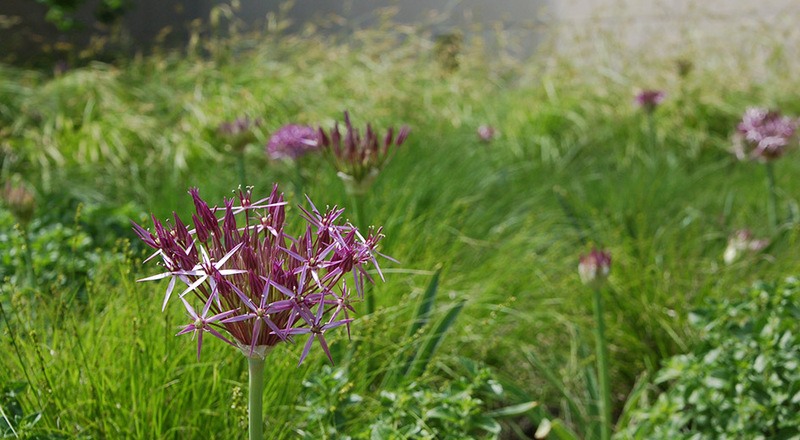 These plants will establish a natural system to create a more vibrant campus, enriched with a biodiverse insect and bird habitat. The Ikenberry Commons comprehensively melds student needs with environmental responsibility forging a new way to think about campus development.